I introduced Steve to Bowie in 1972 and recorded the first five albums onto cassette for him. I also helped him write out the lyrics for his own use to go with the recordings. 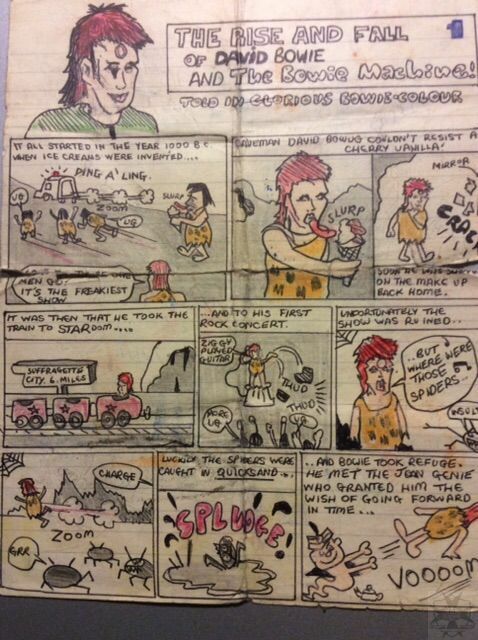 He used his art and great sense of imagination to make three comic strips for me. This is page 1 of 2 of the first of those three strips. 70s pop art as never been seen before!